The BCO Awards are presented at dedicated awards lunches and dinners. These events are a great opportunity for networking and celebrating excellence in office space. Each region hosts a Regional Awards Events event in April / May when the Regional Award winners are announced. The Regional winners then go forward to be judged by the National Judging panel in July, with the National prizes awarded at our National Awards Dinner on Tuesday, 1 October 2018. 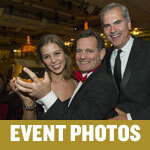 Upcoming Awards Events 2019 - Bookings for the Regional Awards Events are now open!